My apologies to the readers for not posting in a few day. Kathi and I have been traveling from Casa Blanca, NM to Georgetown, TX. I plan to catch up on our trip in the next few days. Today I am only going to discuss our trip from the Dancing Eagle Casino to the Albuquerque Freightliner. The Albuquerque Freightliner is a few miles west of Albuquerque on I-40. Kathi and I were not impressed with the service. We got to Freightliner about 9:15 am to lubricate the chassis and get the oil, oil filter and fuel filter changed. 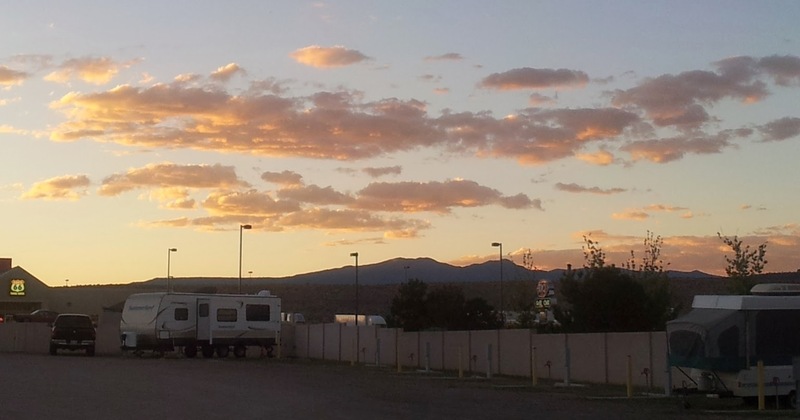 We dropped off our RV and went to breakfast at the Route 66 Casino buffet. The buffet was not open for breakfast, so we returned to Freightliner to see our motorhome had not moved. They took it in about 10:30. I was expecting it to be complete in about two hours. I inquired at the desk and they told me it took four or five hours to change the oil. The last time I had my oil changed it took less than an hour. We finally got a bill for $523 about 2:00 pm. I thought the price was a little high, but I restrained Kathi from complaining. The cashier gave us the wrong key, so I went back to the service desk to find the right key. No one told us where our RV was, so we drove around until we found it. When we got to our freshly waxed motorhome we found greasy hand prints on our door. Inside I found an excess amount of greasy floor protection paper covering my brake and accelerator pedals. I removed the plastic sheet covering the driver's seat and wrapped all the floor paper in it for later disposal. Kathi and I thought the pricing was high, the service took too long and the mechanic's behavior was unprofessional. We will not return to this Freightliner. On a happier note, I am posting a couple of pictures taken the night before we left Dancing Eagle. The sun was behind the mountains, but the clouds at sunset were worth seeing. 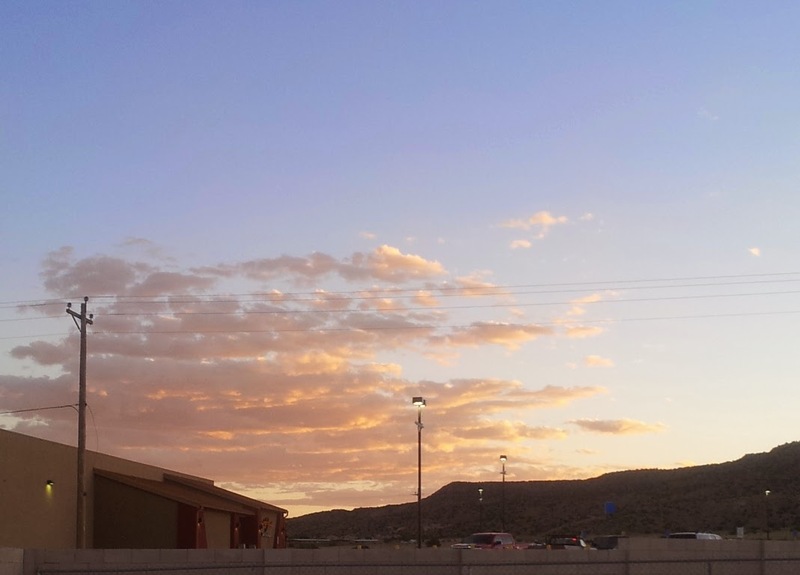 Taken from the RV park looking west northwest over the travel center. Taken from the RV park looking south over the new grocery store.